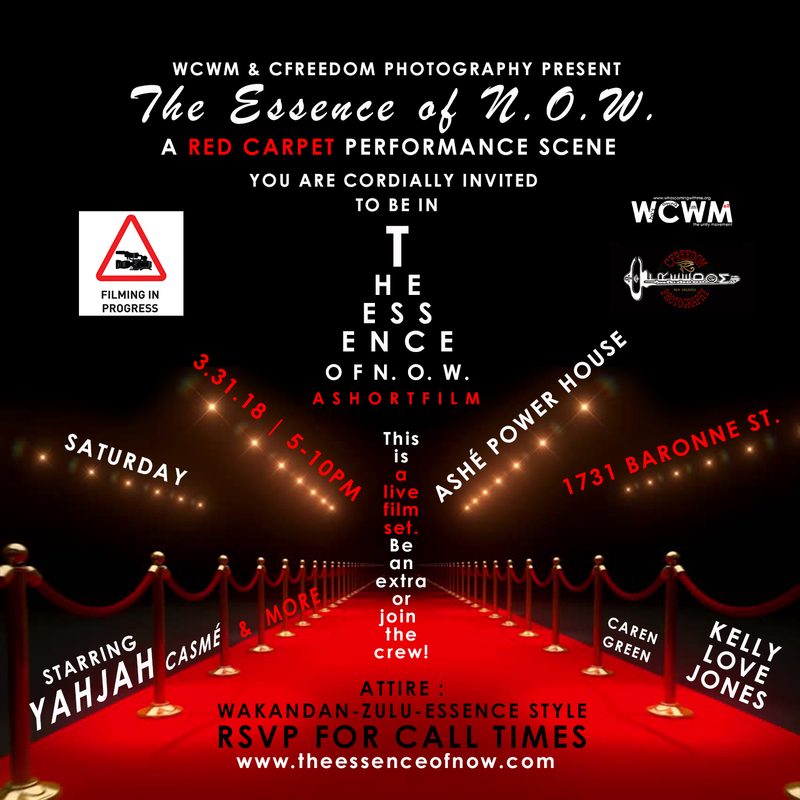 You are cordially invited to be in the "Red Carpet Performance Scene" of The Essence of N.O.W. : A Short Film. Be an extra or join the all women & girls production crew. Must RSVP for individual call times. a silent film told through the original songs of New Orleans women. About The Essence of N.O.W. The Essence of N.O.W. : A Short Film is a story of a young New Orleans artist's battle through a day of depression in search of self-love, healing, and sisterhood, while being guided, mystically, by a familiar ancestral spirit. This silent short film story is told through the original songs of New Orleans women. 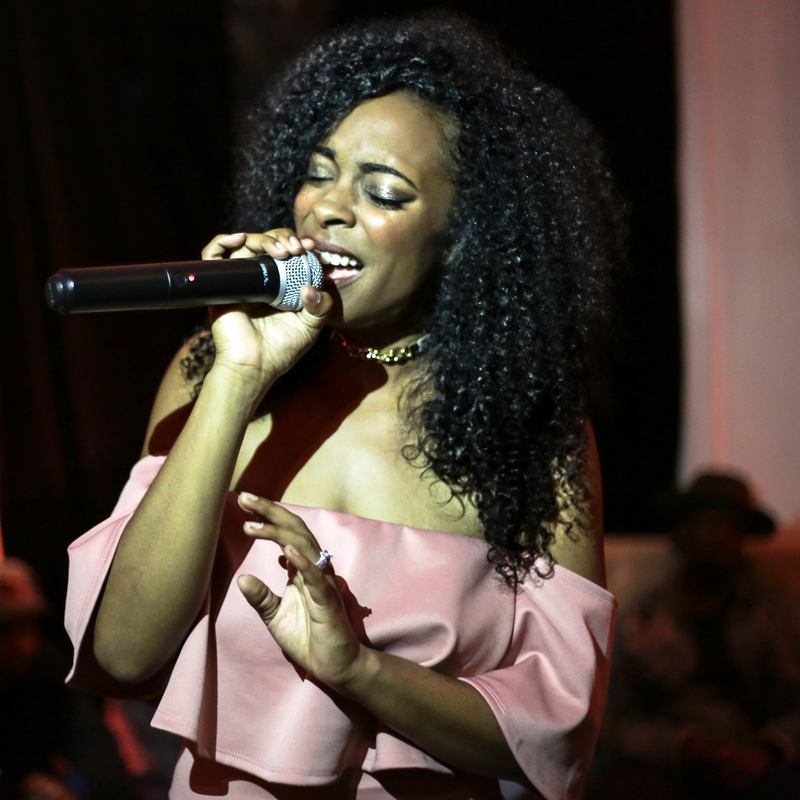 In addition to the vocalists, it spotlights various New Orleans women entrepreneurs and artist of multiple genres, from fashion to choreography. The Essence of N.O.W. : A Short Film is a story of sisterhood in front and behind the camera. In this N.O.W. (New Orleans Women) team effort, we are putting together an all-female production crew. This sisterhood film set is designed to intentionally inspire New Orleans’ women to be the positive and necessary changes that we desire in New Orleans and to highlight those positive existing images in our city and beyond. It is a call for us to reconcile and demonstrate the healing process in action and an intentional affirmation of unity. I am a New Orleans woman; a visual and performing artist on a mission of bringing back positive images & music. I'm a mother, an educator, a community advocate and an entrepreneur from one of the most culturally rich cities in the country, New Orleans, Louisiana. My favorite things to do are documentation through film and photography, show and tell about my city and about the people of my city through various forms of art. My specialty describes the family hood within the Black community. This is what led me into photography and archiving among many other things. In addition, documenting, archiving and bringing back positive images & music are huge inspirations for my most recent endeavors of entering the film industry as a self-proclaimed filmmaker. In 2009, I founded a photography party called The Essence of New Orleans Women. The Essence of N.O.W., (an acronym for New Orleans women), is a photography party that celebrates, features and archives New Orleans women. 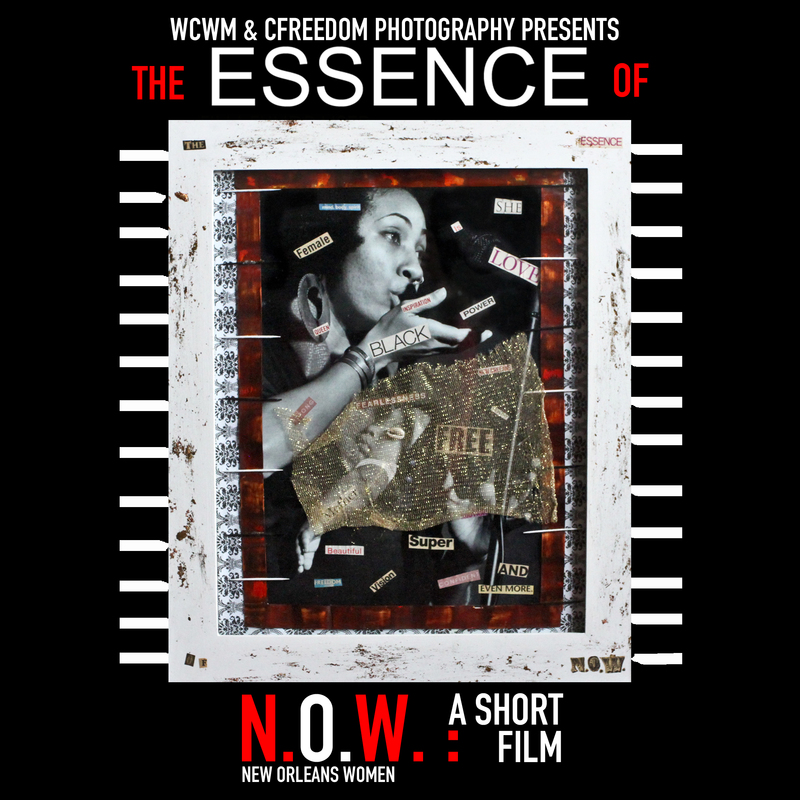 Started as a influence to honor New Orleans women and all the significant work they contribute to the rebuilding of post-Katrina New Orleans, today, it has became the inspiration for my most recent endeavors of directing a silent short film dedicated to New Orleans women, titled, The Essence of N.O.W. : A Short Film. As a writer and performer opened doors for me being a photographer, photography has inevitably brought me to the door of videography. After shooting some of my own music videos, being hired to direct and shoot a few successful video documentaries, and working as a videographer for a short film, I tasted the first tiny bit of what a fulfillment it would be to be a filmmaker. Than it happened. Scrolling down my Facebook timeline one day, in early 2013, I ran across a post that Sunni Patterson, a New Orleans woman shared, Upon watching the video, and taking in the beautiful cinematography, melodies and feel, the filmmaker in me was born. 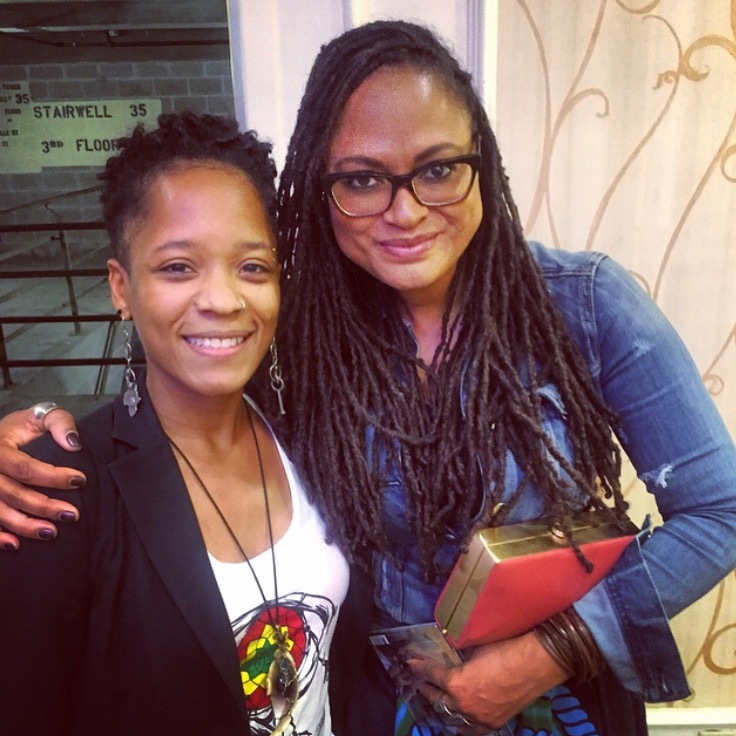 The film Sunni shared is titled The Door, and directed by Ava Duvernay, an award-winning filmmaker. This was my introduction to Ava Duvernay. This was before she directed Selma, and I’ve been following her and her work ever since. Discovering The Door has helped me find and design the door that I now walk through. It has also shown me that the door I walk through creates a door for the next developing film-maker to walk through. The visual and audio piece, The Door, and my present work, The Essence of N.O.W. 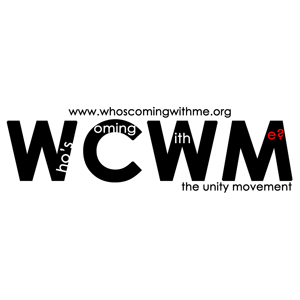 : A Short Film will help other women in search of finding and loving themselves to share their self-love through sisterhood with others. This short film masterpiece will be uniquely decorated with the mystical magic that united New Orleans women have had and will continue to create.